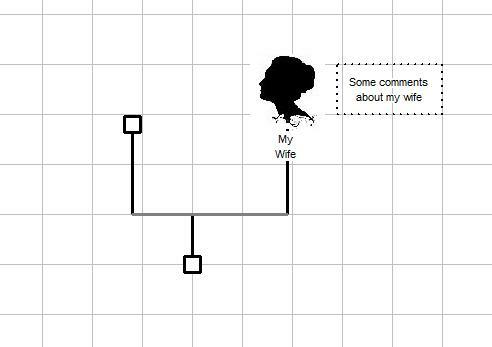 My dear wife create genealogy tree with comments in your programm. I d't understand how post foto in this tree and print at A2 format (comments must be near member of tree). Not exactly a 'Little Question' but here is a brief answer. I suggest you use 'Labels' to display both photos and comments on your GenoMap. Position cursor where you want the label and press the 'L' key. Double click the label to enter or paste the comments. Create another label to hold the photo. Right click on the label and choose 'Assign Picture' and fill in the details.